Flanders is the northern region of Belgium and its more important cities are Ghent and Bruges. 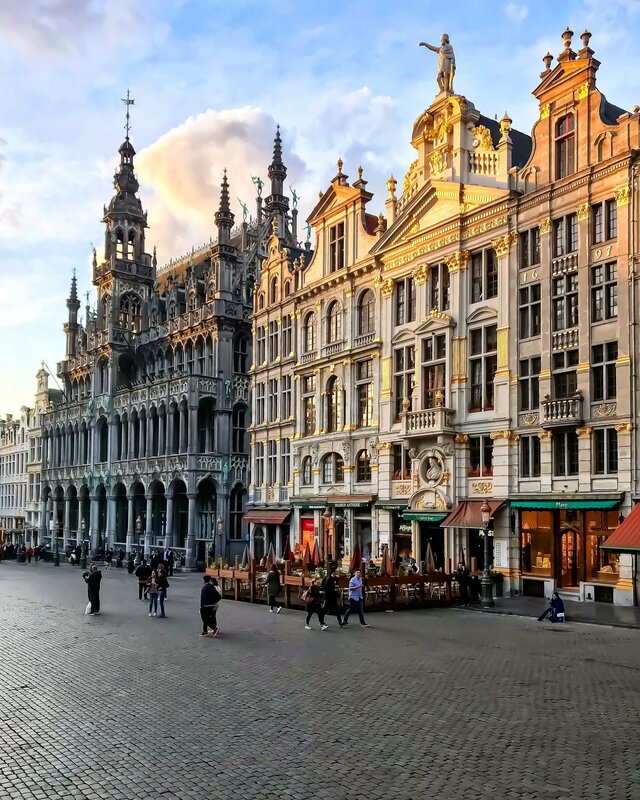 As I lived in Bruxelles for few months, I used to visit these cities from time to time. Bruxelles is the capital city of Belgium and its cosmopolitan atmosphere is what impressed me more. At the same time, it represents also the more problematic aspect because it’s not easy to talk about this city. In fact, in Bruxelles there are different people working with or for the European Union (the meetings of the European Commission and the European Council take place in Bruxelles) such as journalists, lobbyists and diplomats but also different immigrants from East Europe and North Africa. Furthermore, there is a division between Flemish and Walloon, so two different cultures, the people living in the northern and the southern area. Luckily, Bruxelles is still a multicultural and touristic city. After all, it is so rich in art and history. 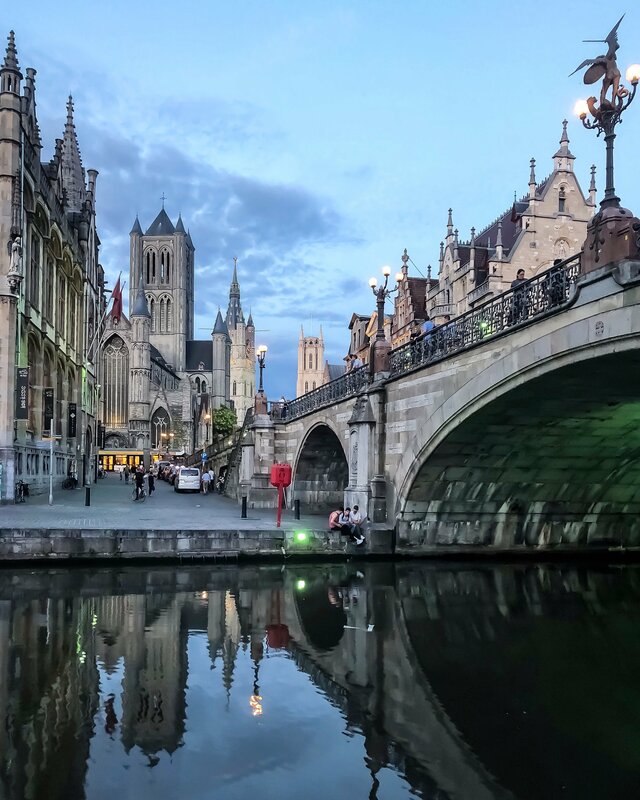 Let’s see the main attractions of the capital city of Belgium. 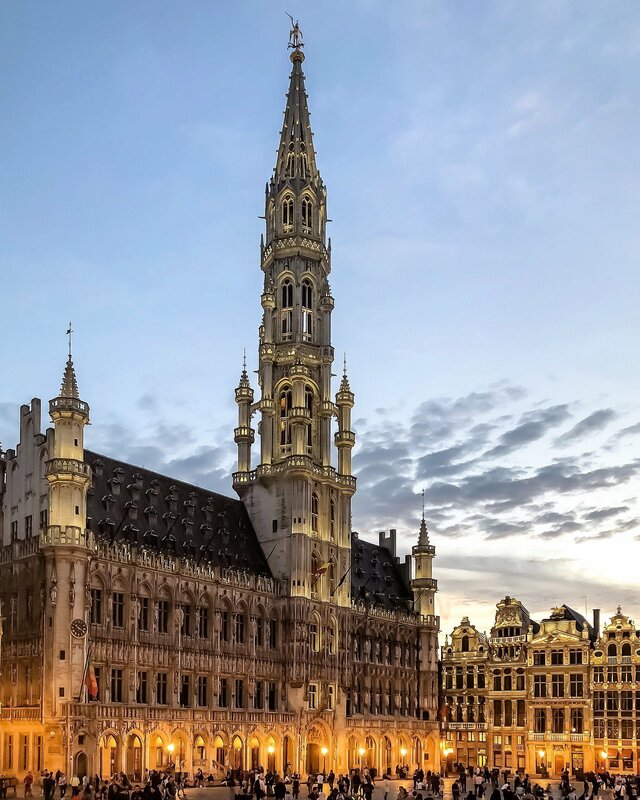 The Grand Place is obviously the main point of departure for your visit of the city. Undoubtedly it’s one of the most beautiful squares in the World and its charme is linked to its monumentality. In fact, all around there are very important historical buildings and at the golden hour you can see how much they shine. From here you can walk a lot and see different shops selling local products like chocolate, waffle, beers and other. Other important quarters are the European and the Sablon. 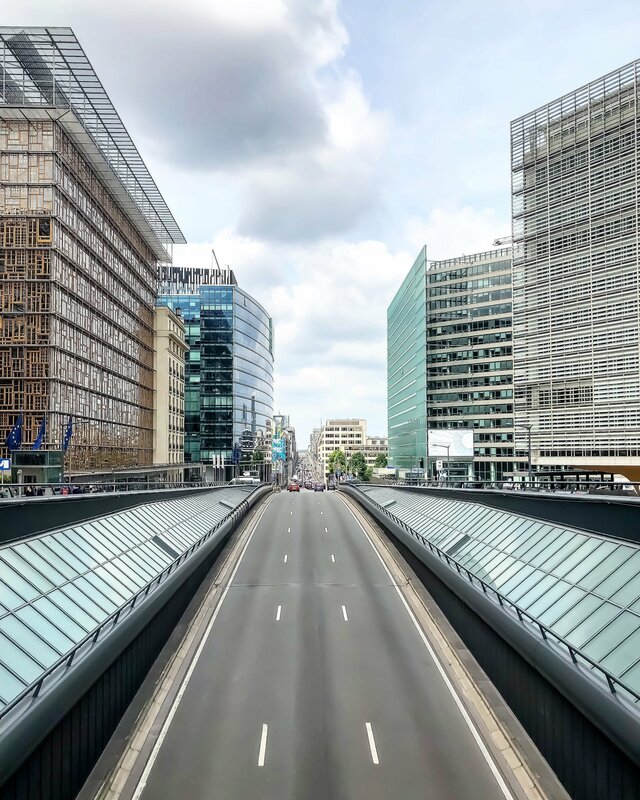 The first one is to be visited due to its political-cultural nature: Berlaymont Palace is the headquarter of the European Commission and the European Parliament. So here many decisions are taken and all of them with repercussions on our lives, even if we don’t perceive its importance sometimes. The latter one is, instead, famous for its Place du Grand Sablon. Actually this is the center of the antiques with different art galleries, from ancient to contemporary through modern. Moreover, every weekend the second-hand dealers’ market takes place here and it’s the perfect location for buying retro objects and vintage clothing. 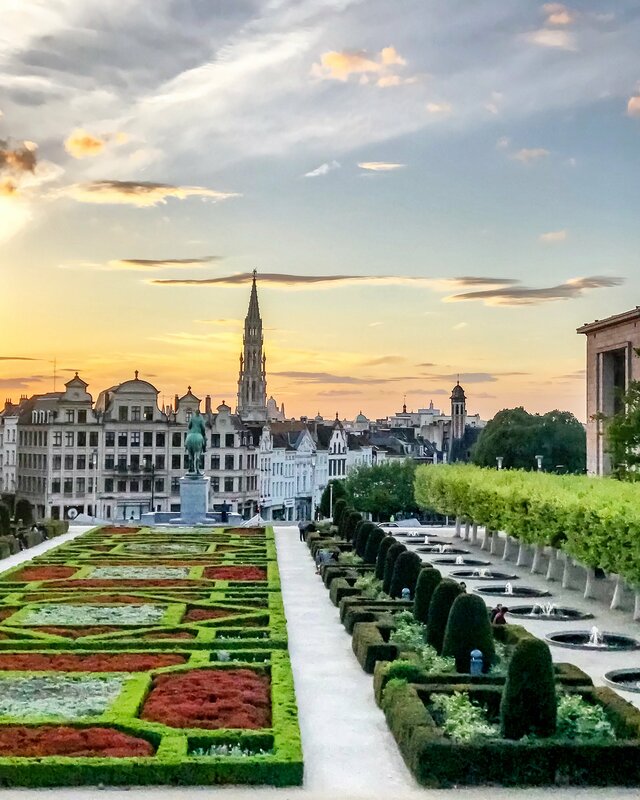 Bruxelles has also many parks that offer beautiful landscapes such as Parc du Cinquantenaire. 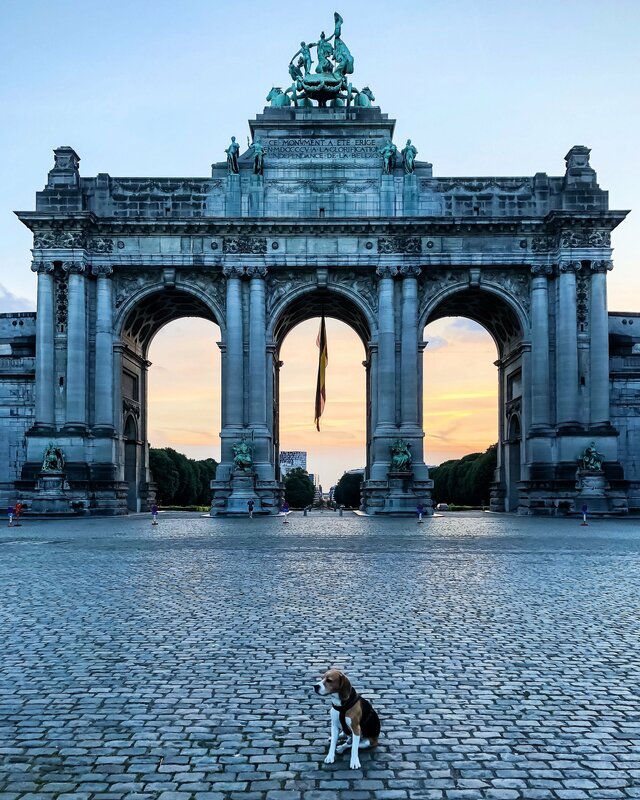 It is a 30-hectare urban park built around the famous arch of Bruxelles, also called Arcades du Cinquantenaire. The arch is surrounded by different buildings, most of them are museums. The park is today used for events of all kinds such as concerts, marathon and the bike festival. I used to visit different cities in the Flanders, such as Ghent and Bruges. From Bruxelles you can reach them by bus or train. For the tickets, I used Virail that it is an app that compares bus, carpooling, train and plane. If you insert the route with the exact date it shows you the result and you can choose the best option for your needs and your budget. Moreover, the connections are shown with timetables and prices and it’s possibile to filter the results by price, departure and arrival time, duration or by amount of connections. It’s great that you can book your ticket from your smartphone, whenever you want and wherever you are. Virail redirects you to the partner’s website for the booking but it make the choice easier. 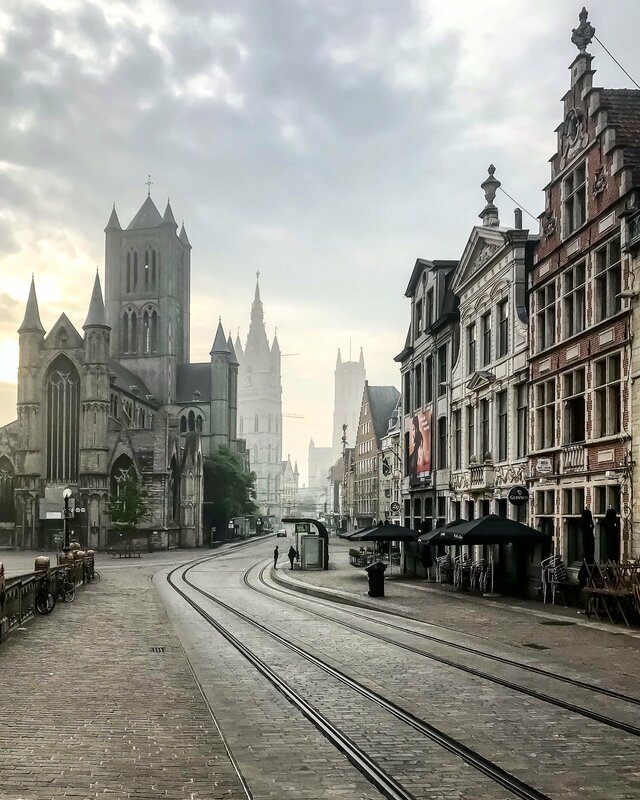 Here a list of the Flemish cities I visited during the last months thanks to Virail. 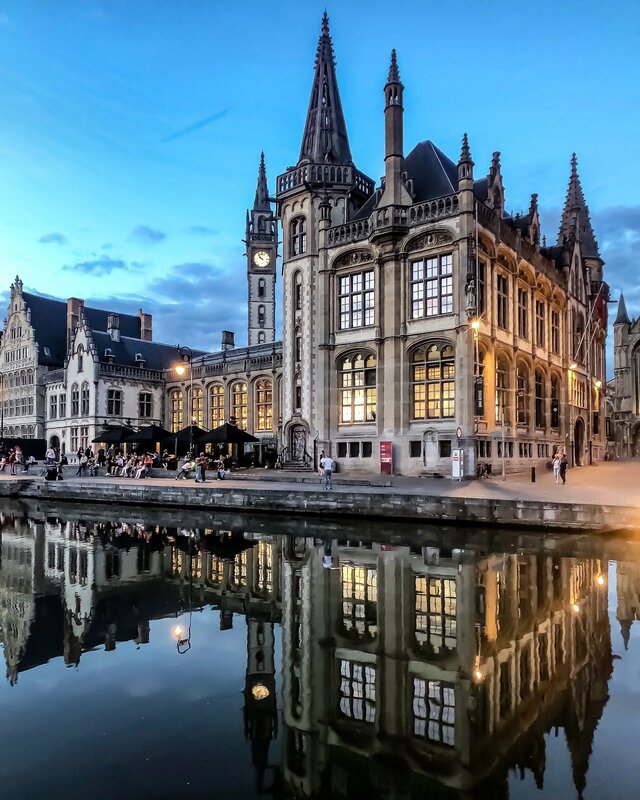 Ghent is a Flemish city located only 30 minutes from Bruxelles. It’s very lively and vibrant and it offers different Instagrammable points. For example, the St. Michael’s Bridge is one of the most picturesque areas. From here you can see the Medieval Towers all aligned for a perfect shot. You can admire all the architecture nearby and the river. The Graslei and the Korenlei are also very beautiful. These quays stretch along the river with their medieval unique buildings. It offers different cafes and point views. Not far from Ghent there is Bruges, the “Venice of the North”. When I was thinking about the ideal adjective to describe this city suddenly I realized that “romantic” is the perfect one. 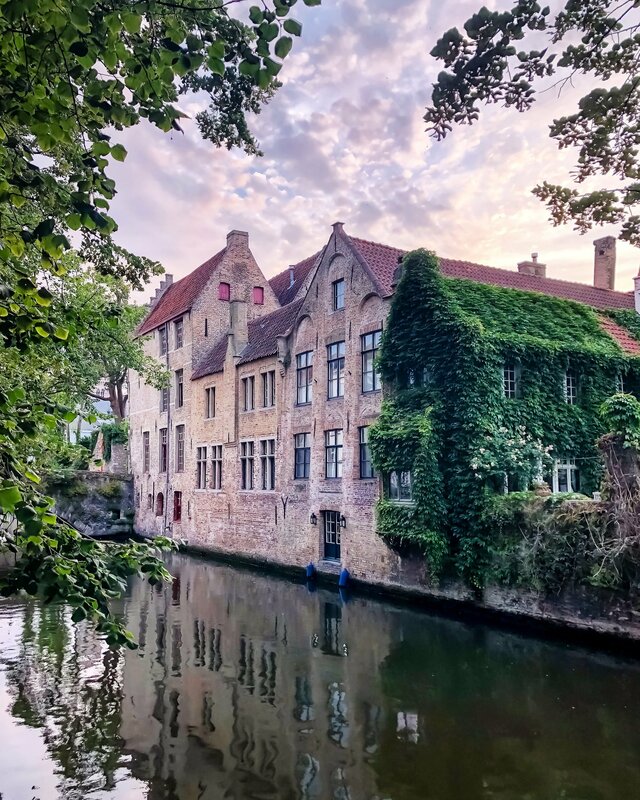 While strolling in Bruges, you feel like being in a different era. 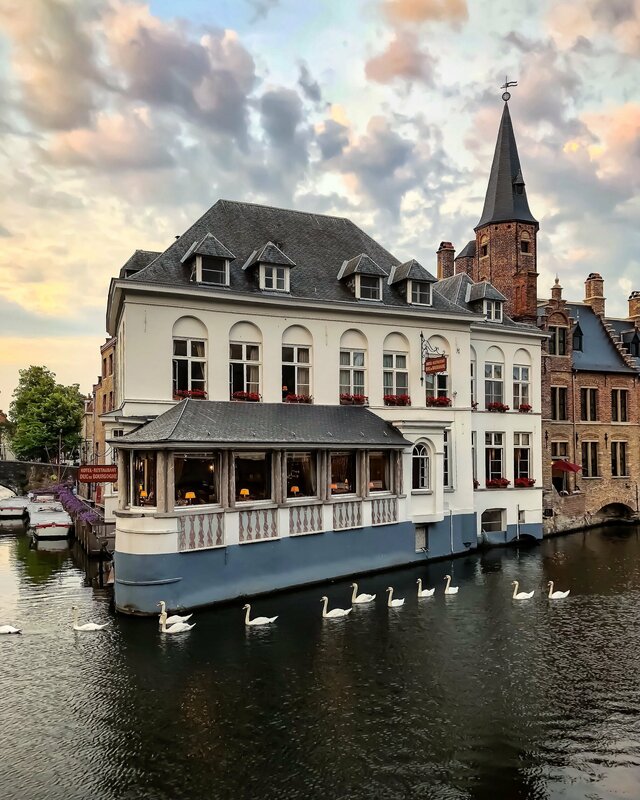 Cobblestone paths, horse drawn carriages, swans on the water, stone churches, picturesque bridges and archways make Bruges the most stunning and fairytale medieval centre I have ever visited. It’s not that big so you can easily explore it on foot but there are also different boat cruise that gives you the opportunity to see it from a different point of view. 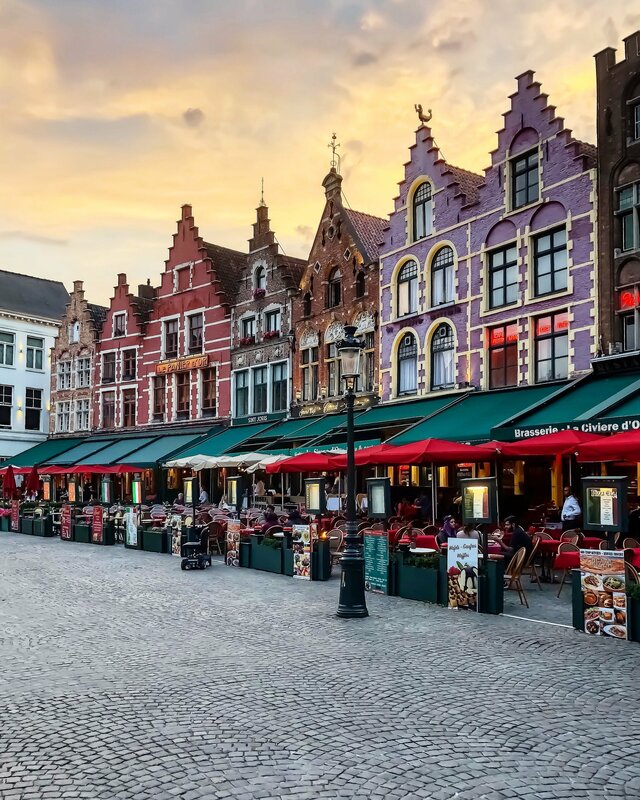 What do you think about these two hidden gems in Flanders? You have to visit them and if you have any question regarding Virail, don’t hesitate to write me a message. I have been to Brussels, Antwerp and Bruges. The architecture of the cities is really stunning. I highly recommend everyone to visit Belgium. Thanks Arunas. I’m happy you love it, too!